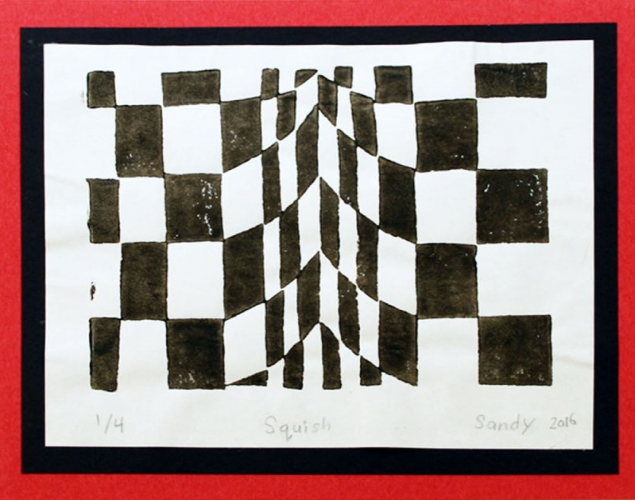 Students use metallic coloured pencils on black construction paper and follow the instructions on The Grid worksheet to create a geometric design that gives the illusion of movement. 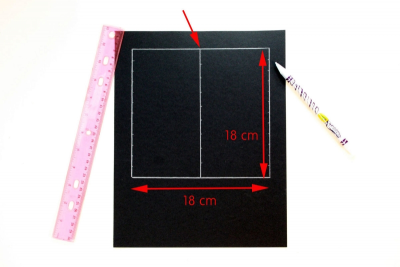 Use a white coloured pencil to draw a square about 18 cm x 18 cm. Mark spaces of 1.5 cm on opposite sides of the square. 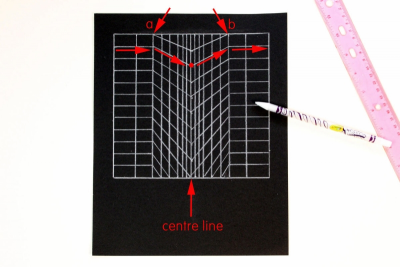 Draw a straight line from the centre of the top of the square to the opposite side. Mark spaces of about 2 cm on the centre line. Start at the centre of the top of the square. Mark spaces that gradually get further apart as they move to the outer edge of the square. Repeat the same spaces on the bottom of the square. 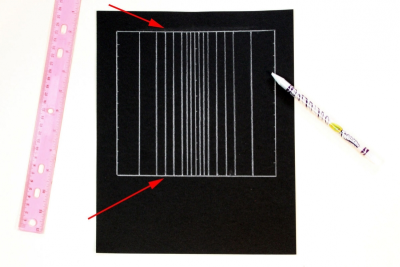 Draw straight, vertical lines from each mark on the top of the square to the mark directly opposite it on the bottom of the square. Mark a line ‘a' about 4 spaces left of the centre. Mark a matching line ‘b’ on the right of the centre. Mark spaces on the 'a' and 'b' lines to match the spaces on the sides of the square. 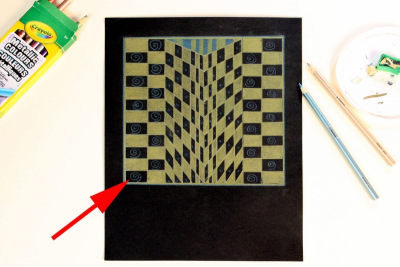 Draw horizontal lines across the square to connect the marks on either side. When you get to the ‘a’ line change the angle and draw a diagonal line down to the mark one space LOWER on the centre line. When you get to the centre line change the angle again and draw a diagonal line up to the mark one space ABOVE the centre line. Colour alternating rectangles using one metallic colour. 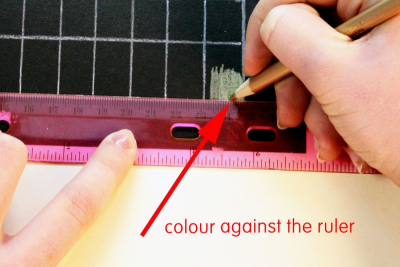 Place a ruler along the edge of a rectangle and colour against it to get a clean line. You may want to draw a small design in each black space using a different metallic colour. 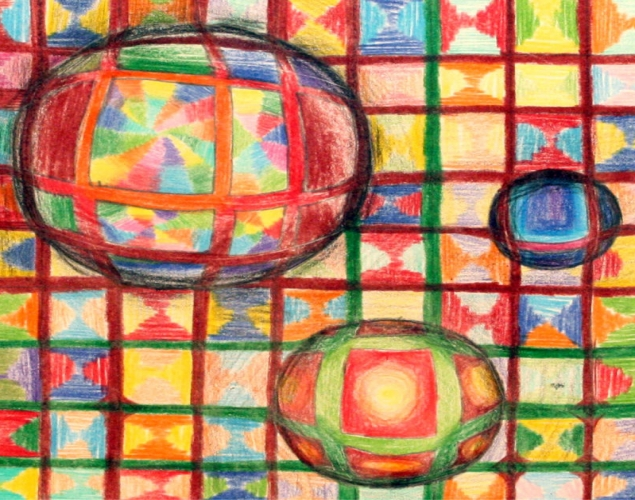 follow written instructions to accurately complete an op art design. share their work with their peers. Display the op art images. 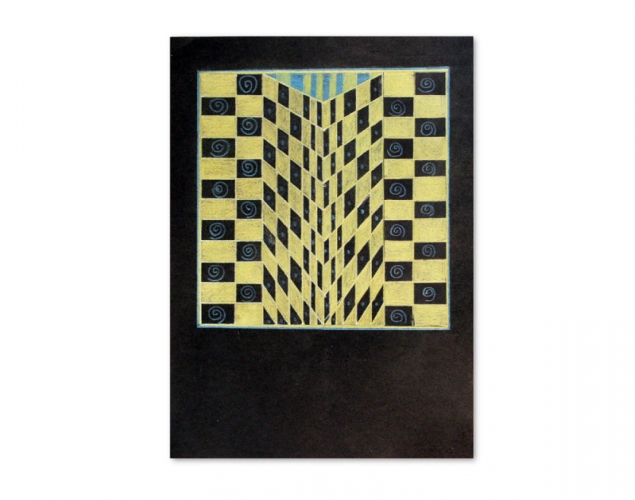 Create a geometric design that creates the illusion of movement. Use contrast to create an alternating pattern. Guide students through the steps outlined in worksheet. Encourage them to share and expand on each others' ideas. Place students in small groups and have them share thoughts about the work. 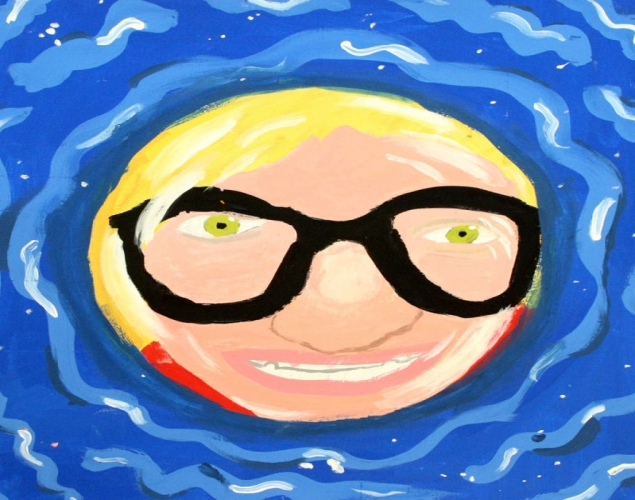 Ask students what they found satisfying about doing this project and why. Ask them what was difficult about doing this project and why. Observe students as they discuss the designs – active listening, insightful contributions, supporting ideas with evidence found in the artwork and from personal experience.